I’m okay with all the sequels, remakes and comic book movies Hollywood is cranking out. As long as the movie is entertaining and lets me forget life’s problems, it’s done its job. It’s nice, though, to see something original. A Quiet Place is definitely an original story. The characters can’t make any noise because of blind monsters. You make any loud noises and you’re dead. That includes talking. You can't speak unless there’s a louder noise close by to distract the monsters. What a creative concept. Kinda wish I’d written this story. From the trailer, this movie looks like horror. It’s more science fiction heavy on the suspense. It was awesome at building suspense. I think it was because of the lack of dialogue. The family mostly communicated through sign language but even that they didn’t do often. The family found other ways to communicate. While writing this review, I realized I didn’t know any of their names. They couldn’t speak so I don’t they ever said each other’s names. Did not take away from the story. This movie did well at character development. When one of them was in trouble or got hurt, I felt it. A Quiet Place was clever with how it presented the characters. The daughter was deaf. To show her POV, the movie just went silent. It was well done. She was awesome, too. All the characters were fighters. The acting was on point. A Quiet Place had some good jumpscares to. Often, movies think they're scary just on this own. Like gore. It’s effective if done well. 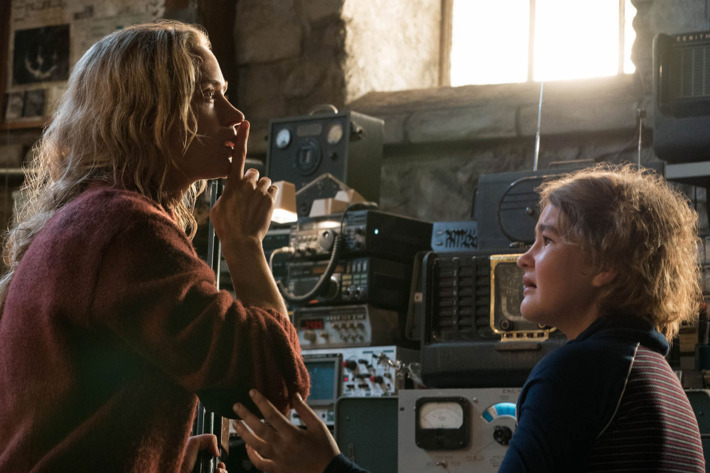 A Quiet Place knew how to use jumpscares and the movies didn’t overuse them. Like a good monster movie, the creatures weren’t scary by themselves. They were scary because they terrorized a family I really liked. For most of the movie, they were mostly a blur. Seeing the monster in full view at the end didn’t ruin the effect. That's happened before in other movies. We enjoy all the scars of a family, a couple or a group of friends being terrorized by a something otherworldly. Then we see the monster and the movie's ruined. We didn’t get a lot of backstory about the world. All we really know was that monsters were all over the world and that they kill anything that made a sound. This family isn’t I Am Legend style trying to figure out the monsters. We saw some clues that the dad was observing them but mostly, this family was just trying to live a regular life. We don’t even know how the rest of the world is handling things. We really didn’t see a lot of other people. Because I was so invested in the family, I didn’t notice these details until afterward. I'd watch this movie again. I feel there were some subtle clues I might've missed. I'd want to own to this movies. 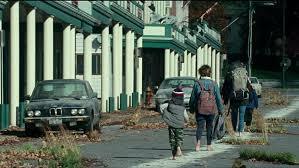 If you want an original sci-fi thriller with some heart, check out A Quiet Place.